We’re making a world of difference. From sophisticated urban hospitals in the UK and Canada to remote desert health posts in the heart of Africa, we’re working with local communities and governments to improve people’s health no matter where they live, and no matter the level of IT connectivity. Healthcare organisations around the world are using our cutting-edge technology, which is why we're proud to introduce MEDITECH Expanse, our next generation EHR. Hear from MEDITECH Vice President of Product Development Geoff Smith, as he discusses how Expanse can untether doctors from their desktops, giving them the flexibility to care for patients wherever they may be along the continuum. MEDITECH has a long history of shaping healthcare around the globe. Offices in South Africa, Australia, and Singapore now extend our reach throughout Africa, the Middle East, and Asia Pacific. Read One Patient Advocate’s Views on Digital Tools in South Africa. One Patient, One Record in Botswana. Across Canada, MEDITECH customers have a rich history of leading the way in delivering the highest quality healthcare. Find out how we’re connecting clinicians, hospitals, and health authorities with more efficient EHR tools and integration that spans all settings. As a longtime customer, we've experienced the many benefits of utilizing MEDITECH's EHR. These benefits don't only cover patient care but they span across the whole organization. We're fortunate to have wisely invested in a solution that's been sustainable for the last two decades and that we foresee will continue to be well into the future. Leading the way in the UK. For over 25 years both public trusts and private hospitals have relied on MEDITECH to lead their digital health transformation. Today, MEDITECH customers are internationally recognised — from Global Digital Exemplars (GDEs) to renowned networked cancer centres — and are using MEDITECH to achieve greater efficiencies in care delivery. Riding waves of change in the Caribbean. As digital health records gain momentum in the Caribbean, MEDITECH is expanding its presence with customers throughout the US Virgin Islands, Puerto Rico, the British Virgin Islands, and the Bahamas. We’re connecting providers across these island populations to achieve longitudinal health records for all citizens. Since implementing MEDITECH, Wilma N. Vázquez Medical Center (Vega Baja, PR) has documented a 20% increase in their cash flow and 30% reduction in ED wait times. The British Virgin Islands Health Authority will soon connect patients and care providers nationwide and across the islands using MEDITECH Expanse. Wherever patients receive care — Peeble's Hospital, outpatient clinics, urgent care centers — their records will follow. 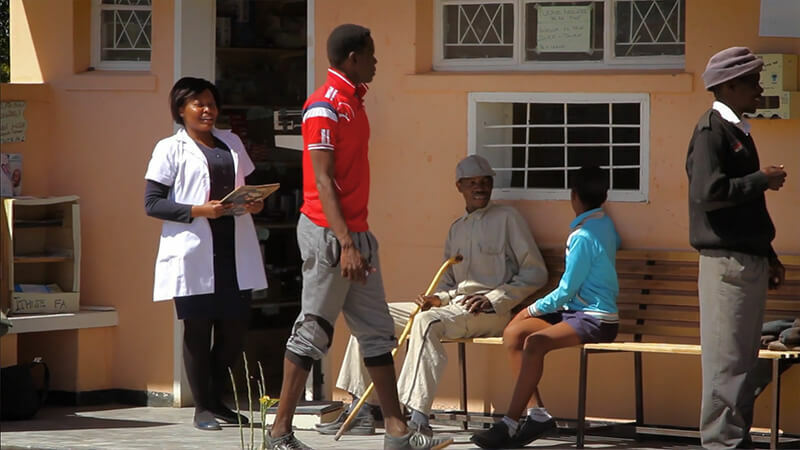 Patients at Doctors Hospital (Nassau, Bahamas) rate the hospital above the 90th percentile. MEDITECH Expanse helps them keep their patients engaged and healthier over the long term. Innovative technologies that foster sustainability. Our customers are high achievers—and often first achievers, using digital innovation to create a more effective healthcare system for everyone. The first hospital in Ireland to achieve Stage 6, as well as closed-loop medication management. Listen to CIO Raphael Jaffrezic’s podcast interview on big data. Ontario Shores Centre for Mental Health Sciences is the first hospital in Canada and the first behavioral health provider in the world to reach HIMSS Stage 7. North America's first fully digital hospital. Humber’s CIO, Dr. Peter Bak, was recently recognized as Information Technology Association of Canada’s 2016 CIO of the Year. Read Dr. Bak’s blog on the 4 characteristics of a fully digital healthcare organization. Singapore’s first integrated healthcare and hospitality complex and the recipient of seven different recognitions for improving the patient experience.